We want your dining experience at Hipping Hall to be a real treat; something very special indeed. Oli, and his team in the kitchen take great pleasure in producing fabulous food perfect for the rugged borders of Lancashire, Cumbria and Yorkshire. We serve Dinner every evening and Lunch on Saturdays and Sundays in our wonderfully unique 15th Century Dining Room. 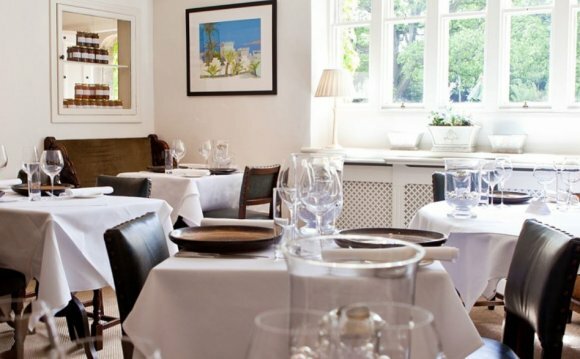 Our Dinner menu changes daily, but every night we offer a seven course tasting menu or a five course table d’hôte menu. Both menus burst with local and seasonal flavour and all dietary requirements are catered for. We’ve taken as much time choosing our wines as we have sourcing all of the ingredients for our menus. We are rightly proud of the list and hope you enjoy looking at what we have to offer. Alternatively, you can let us do the hard work as we have matched glasses of wine to every course of each menu. To find out up to date information about what we are doing at Hipping Hall, why not have a look at our Food and Wine blog or follow us on Twitter.